You have just been diagnosed with breast cancer. All the love and all the comforting words and hugs from friends and loved ones help, but they don’t make the fear or the feeling of being alone go away. Fear, anger, depression, confusion, and a new found interest in statistics replace the thoughts that had been occupying your mind up to the moment you received the news. I’m not a woman and I have never had breast cancer, so I believe that there are others who could write this article much better than I ever could. Perhaps this article will encourage others to write about this very important subject. After all, the goal of the blog is to educate and to spur discussion. 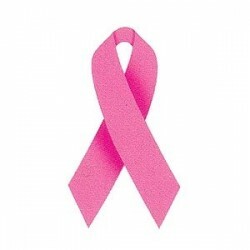 Instead of me talking about breast cancer as a researcher, I would like to relate a story about a wonderful woman who has become my friend in the last couple of years. This woman lives in a small town in Washington state and she was diagnosed with breast cancer in the summer of 2008. She received the news shortly after her younger brother passing away following his fight with cancer. Her oncologist recommended a partial mastectomy, which was performed successfully in September 2008. The oncologist schedued my friend to begin chemotherapy in December 2008 as a precaution. The protocol was for her to receive 6 treatments at two week intervals. Two weeks prior to commencing chemo, her oncologist prescribed pills to control nausea. My friend chose to forego the pills. She decided she would drink alkaline ionized water and eat a strict alkaline diet as long as her oncologist didn’t object. Her oncologist had never heard of alkaline water, but had no objections to her trying “her water”, as she didn’t see how it could hurt. She began eating her fruits and vegetables and drinking the water right away. She started out drinking water at a pH level of 8.0 and increased it to 9.5 over the duration of her chemo treatments. My friend drank her body weight in ounces each day, which is double the recommended amount for a healthy person to replace the liquids that the body naturally uses each day. My friend lost her hair in the first two weeks as expected and it didn’t seem to phase her one bit as she had her wigs ready and waiting. She actually had fun with her “new me” looks. Now to the good part. She didn’t experience any other symptoms of chemo treatment during her entire program and she never missed a day of work. The staff in the oncology department and other patients that were receiving treatment at the same time were amazed at how well she sailed through chemotherapy. During and after the chemotherapy, she didn’t miss a day of work, or as she describes it “a day of life”. Radiation treatments followed her chemotherapy and were scheduled for 38 straight days. During her radiation program, she experienced significant discomfort due to thinning of the skin on her breast. The doctors prescribed antibiotic cream, but it wasn’t helping and she had to suspend treatment. My friend decided to try using acidic water from her water ionizer as a mild antiseptic. The acidic water cleared up the problem completely in three days, which allowed her to resume her treatment regimen. The story gets better. My friend ended up placing a water ionizer in the oncology department at the hospital where she received her cancer treatments. Today, most of the staff in the department drink the water everyday at work, including 2 of the oncologists. The story gets better once again from my persective, because I’m a huge fan of water ionizers. My friend has helped educate at least two thousand families about the the benefits of the water over the past couple of years. She loves what she does and is always willing to share her story, and the stories of the people she has helped with the water. I’m proud to call her my friend. The information in this article is not meant as medical advice. It is recommended that you always consult your health care provider for health care issues. This article doesn’t address ionized water specifically, but it does answer the question of whether high amounts of antioxidants [of which the water is one] assist during mainstream cancer treatments. Pingback: Alkaline Or Die With Our Present Diet « Alkaline Water Is The Secret To Optimal Health!